Carry this card next to your license or other identification cards, in your wallet. 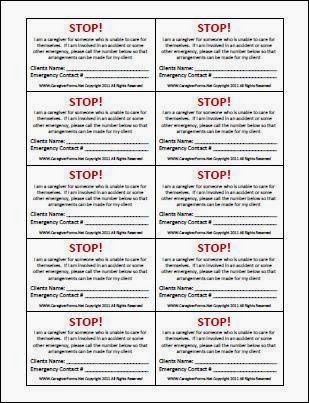 If you must leave the person you are caring for alone, this little card will alert emergency workers and the police to your client’s special needs if you are in a crisis situation. 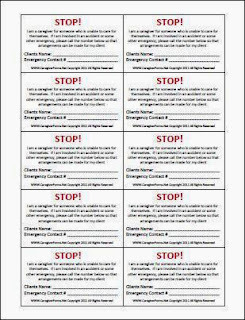 Just fill in your client’s name and an emergency contact number of someone who will be able to arrange care for them. Do not put the client’s number as the contact number unless there is no other option. Sheet of 10 cards. 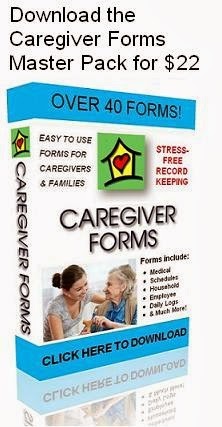 Click the Buy Now button below to buy this form for just $2.